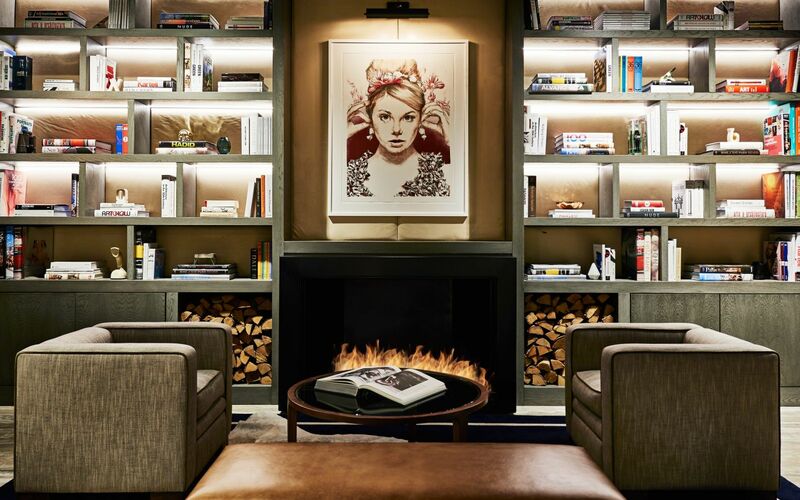 Finally there’s a hotel that’s hip without being in your face. 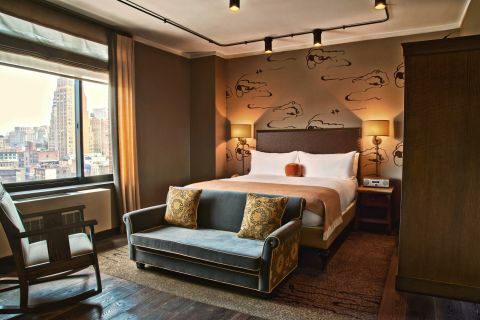 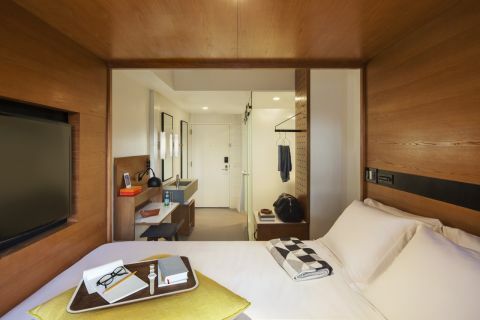 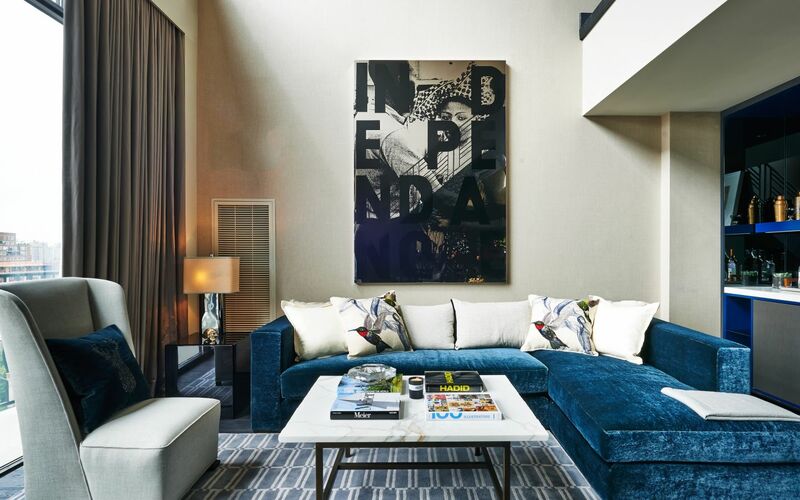 Comfortably situated in the posh SoHo neighborhood, Sixty Soho (formerly the 60 Thompson) has a trendy vibe, courtesy of a renovation by London-based designer Tara Bernerd and its location in a hub of all things high-end, from art galleries to luxury fashion boutiques. 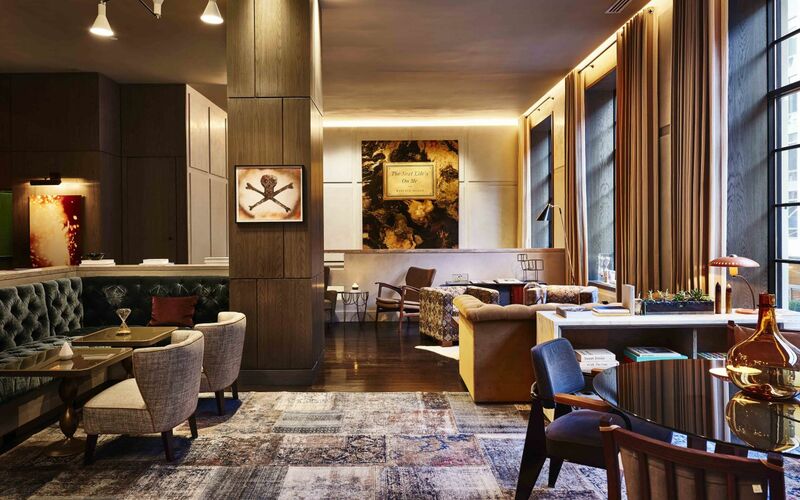 Headed by chef Jordan Frosolone, the hotel’s aptly named restaurant, Sessanta, serves up coastal Italian and Sicilian cuisine. 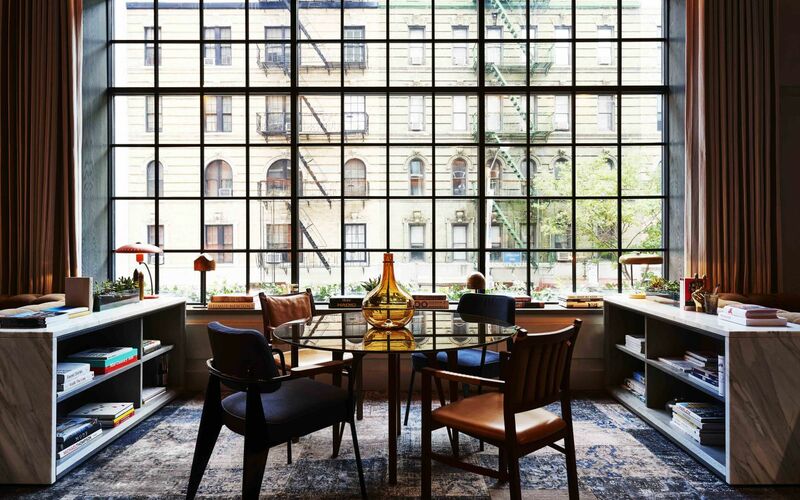 The Gordon Bar specializes in well-crafted cocktails served in a modern space fashioned with geometric floor tiles, velvet furniture, and a fireplace. 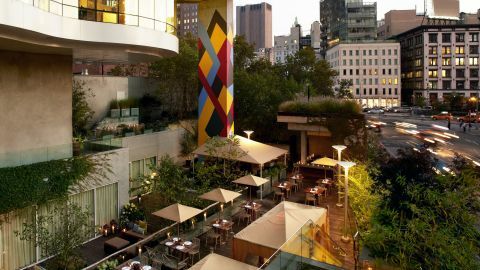 The rooftop bar is the ideal place imbibe on warm New York nights. 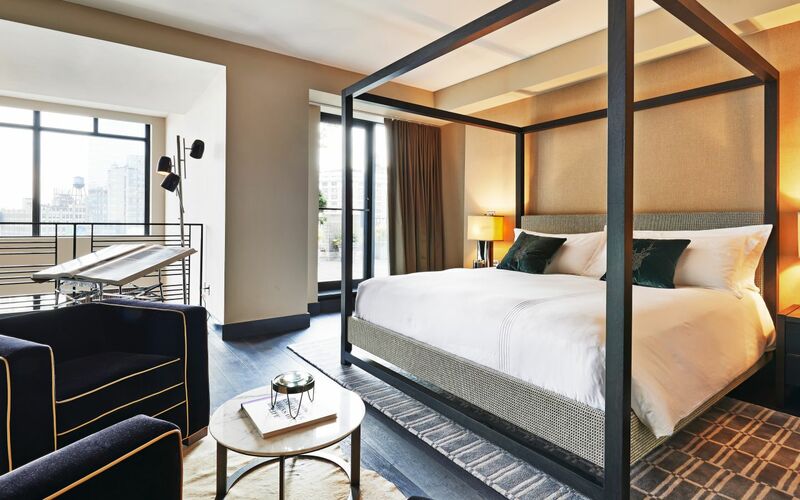 The sleek, loft-style rooms are washed in a monochromatic palette, with dark hardwood floors and furniture contrasting with the gray geometric rugs and pillows. 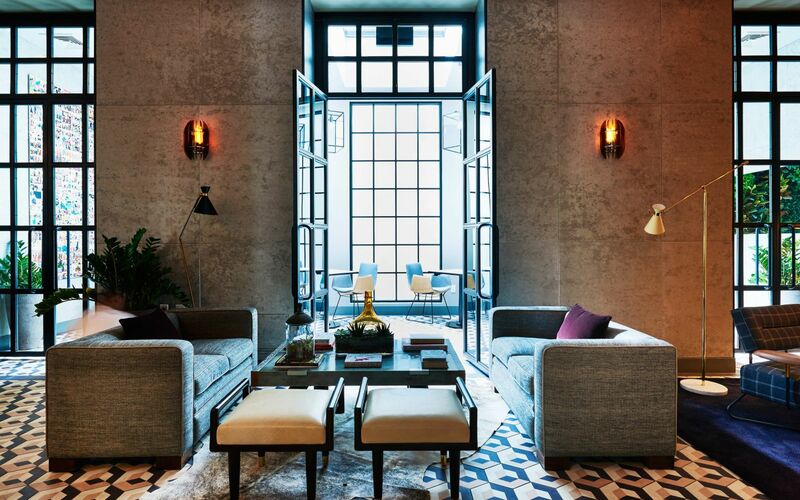 Bathrooms are done with dark marble walls and mosaic floors and include products by Ren. 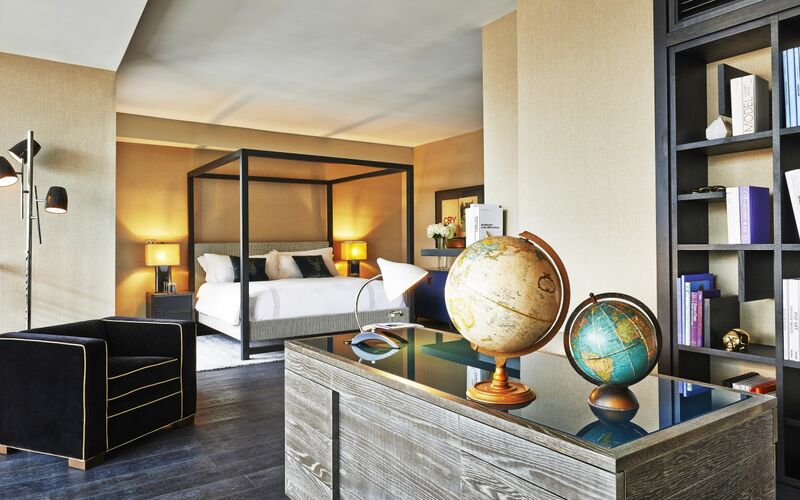 Amenities include a Dean & DeLuca-stocked minibar, Sferra robes, and custom-made linens.